Director Luv Ranjan is trying to wrap the shoot of the film starring Ajay Devgn and Ranbir Kapoor by April next year. 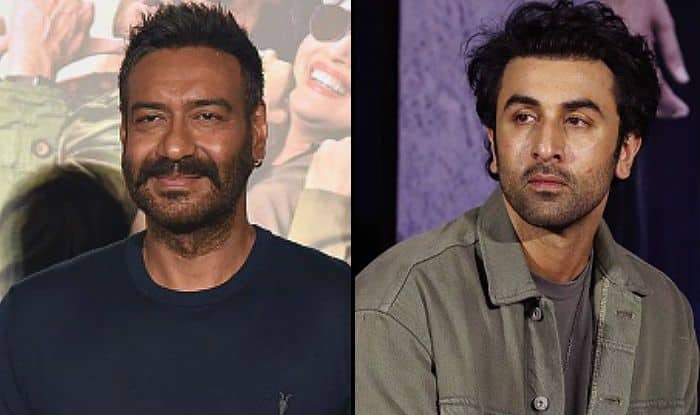 Director’s Luv Ranjan’s next with Ajay Devgn and Ranbir Kapoor is eyeing to have a Christmas 2020 release. The film is an action drama, reportedly set in abroad. News daily has learnt that the makers are currently locking the script, post which they will begin shooting and try to wrap it up by April next year. The report also suggests that a lot of time would be required for post-production work since it’s a heavy-budget action film and therefore, December 2020 would make for perfect release time. This Luv Ranjan directorial reunites Ranbir and Ajay after 19 years. They were last seen together in Prakash Jha’s 2010 film Rajneeti. Both the actors have got a stunning lineup of films up their sleeves. Ajay, in fact, has got as many as six big movies, starting with a Luv Ranjan produced film De De Pyaar De with Tabu on May 17. He then has his most ambitious project till date — Tanhaji: The Unsung Warrior releasing on January 10. Ajay has also signed Bhuj: The Pride Of India hitting the theatres on August 14 next year. He has got extended cameos in SS Rajamouli’s RRR and Rohit Shetty’s Sooryavanshi. Ajay will also be seen in Amit Sharma’s Syed Abdul Rahim biopic. Meanwhile, Ranbir is wrapping up his work on Ayan Mukerji’s Brahmastra will Alia Bhatt and is gearing up for YRF’s Shamshera in which he plays a dacoit.